Hawaii’s best emergency hangover cure! Don’t even leave your bed, we come to you. The hangover IV is designed to replenish the nutrients and fluid one loses during drinking alcohol. This IV drip is designed to replace lost fluids caused by the diuretic effect of alcohol. In other words alcoholic beverages cause excess urination (diuresis) and the vitamins and minerals literally wash out of your body. So what we do is replace these lost fluids, vitamins and minerals and rapidly to reverse the hangover state. The fastest and most direct route is through your veins with the our specially formulated Hangover IV which was developed by our team. That direct replacement allows these nutrients to get to your cells as quickly as possible. That way you feel better as quickly as possible. 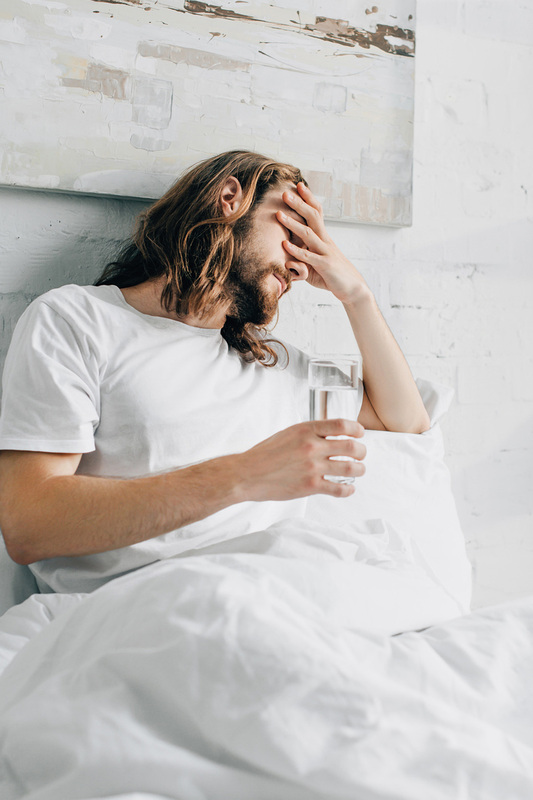 The Hangover IV contains the B-vitamin family as well as other vitamins and minerals to rapidly restore your balance lost by a night of drinking. We will bring this directly to your home and administration takes less than an hour. For severe headaches or nausea we have medications which will alleviate these conditions. IV Therapy Honolulu is great for tourists & locals alike. Find relief from fatigue, hangover, overexertion, dehydration, sickness and stress. We bring the relief to you! ©2018 Mobile IV - Hangover Drip - Hydration - Vitamin Therapy | Honolulu Hawaii Oahu. All rights reserved.